The Alport Syndrome Foundation (ASF) is a volunteer-led organization started by families affected by this genetic disease. ASF is a 501(c)(3) non-profit Foundation that gives a voice to all those affected by Alport Syndrome and champions research to find effective treatment options and a cure. Alport Syndrome is an inherited disease of the kidney that can also affect the inner ear and eye. It is estimated to affect 1 in 5,000 people. Patients of all ages can exhibit symptoms of the disease; however, the majority of those affected by Alport Syndrome are boys who require dialysis or a kidney transplant by their early 20s. The disease is devastating to families because it often affects multiple family members, generation after generation. 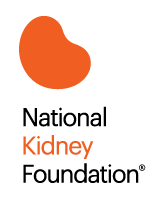 There is currently no treatment that has been proven to prevent the development of kidney failure in people with Alport Syndrome.